services link London's attractions so you can explore all the city has to offer. Choose the fastest and most frequent fleet on the river to travel through the city in style. 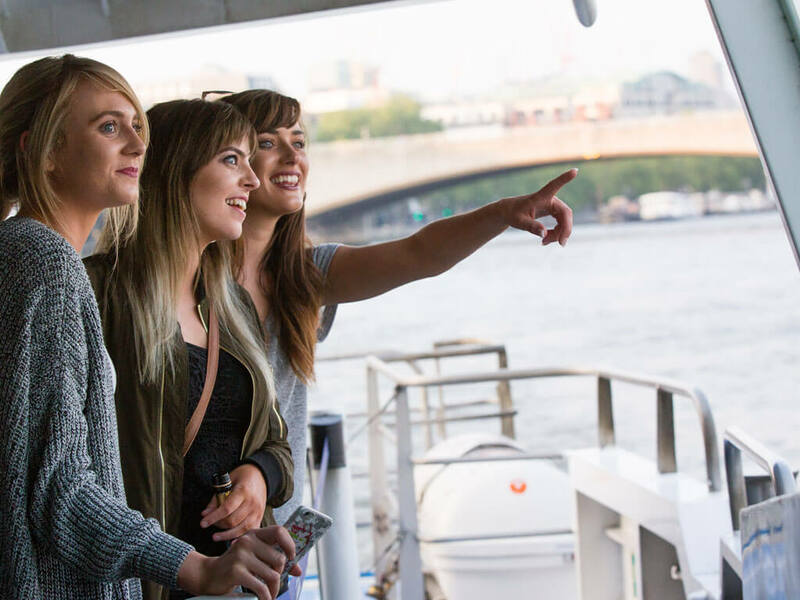 River Roamer tickets are perfect for sightseeing, allowing all-day hop-on, hop-off travel or for getting from A to B, touch in with your oyster or contactless card to pay as you go. The Thames Clippers services stretch from Putney to Royal Arsenal Woolwich, and cater for all, from early morning commuters to families wanting a day out on the river - the services run every 20 minutes between key London piers. It's a smooth and speedy journey, the sleek catamarans are packed with on-board amenities including comfortable seating (that comes with fantastic river-views) and licensed on-board bars. Free newspapers are an added bonus as well as WIFI at selected piers. Fore discounted fares, touch in and out with contactless or Oyster to pay as you go; buy online in advance or on the go with the free ticketing app. Season tickets are available for frequent passengers. All vessels are wheelchair accessible. Access piers include Westminster, London Eye, Embankment and Blackfriars. Everyday the MBNA Thames Clippers fleet travels 1,160 nautical miles, that's 1.6 times around the Earth each month. The boats carry 3.8 million visitors per year. All of the boats have meteorological names including Monsoon and Cyclone.